Looking for a Career and Not Just a Job? Collins Trucking set out from the beginning and continues today to provide its customers with the best transportation service in the industry. Collins Trucking believes in taking care of employees. Not only by offering top pay and benefits, but by making sure you have the right and best equipment to get the job done. Collins Trucking believes in giving back to the community. Through personal time, contributions, and sponsorships, we have an obligation to help our communities succeed. Means you're home EVERY weekend! All the latest tools to get the job done! Stop blending in with the rest of the crowd and start leaving your mark on the transportation industry. We have over 100 tractors and 150 trailers in our fleet. As technology progresses so does our fleet. 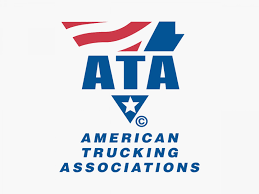 We are now purchasing trucks with APU’s, collision avoidance systems, flat screen tv mounts, refrigerators, arctic package insulation, Bluetooth radios, and tire inflation systems to mention a few. Our flatbed trailers, 48 ft. and 53 ft. are all air ride spread axle for ease maintaining legal weight. All new trailers have a front lift axle to maximize fuel savings while empty. Having a rapidly expanding van division, our vans are 53 ft. air ride plate side trailers. We are always looking for additional features to improve safety and ease of transporting freight. Why Drive for Collins Trucking? Collins Trucking has used Qualcomm products to communicate with drivers since the late 90’s. It was only natural that we continued the relationship 5 years ago when we went to electronic logging equipment. CTC equips all tractors, including owner-operators with the MCP 50 mobile communication. We want to use the best equipment available to ensure our drivers have all of the tools to get the job done. CTC has maintained a very long relationship with EFS fuel cards and Pilot Truckstops. Drivers buy around 50% of their fuel away from the terminal. It is important from a time, safety and accessibility stand point to make sure we are working with the best vendors. We all have bills to pay. Most of the time there is someone at home that is taking care of the family business while you are on the road making money. At Collins Trucking you will get paid weekly through direct deposit to your account. We also provide the ability for you to sign in and review your weekly pay sheet. When you work with mechanical things, they will break down. While CTC strives to keep the latest and greatest equipment on the road, we have a plan if you need assistance while away from the terminal. From warranty repairs at the dealership to arranged roadside repairs, our shop and road repair crew are ready on a minutes’ notice to help keep you on schedule. Our safety department offers training videos for all drivers to take advantage of while at the terminal. After successfully watching the training videos your name is added others for a monthly drawing. In addition to safety videos all drivers participate in fuel mileage rewards. This program, like the training video is administered by a third party, and works a lot like the rewards programs for credit cards. Collins Trucking won the President’s Award for Safety in 2018. Collins Trucking traveled over 8,000,000 miles in 2017. 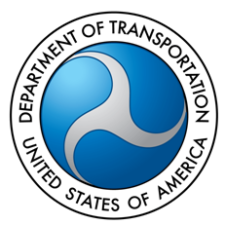 CTC currently has 7 drivers with 1,000,000 miles accident-free. CTC has 6 drivers with 20 plus years of continuous tenure. Three generations of Collins have or are working at CTC. Georgia Pacific was our first customer in the late 60’s and continues to be our biggest today. By far the best team I've ever worked with. They truly understood the job I needed done and completely nailed it! I would highly recommend them as a company, you simply just won't find any better team! Mike and his team are the best when you just need the job done, and fast. I'm wondering why I never contacted these guys sooner! Seriously, they all have years of experience and solved my transportation issues quickly and with a smile. Thanks for an amazing experience!